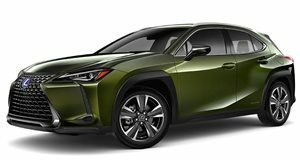 The hybrid offering of the all-new subcompact luxury crossover, the Lexus UX250h combines a 2.0-liter four-cylinder gasoline engine with two electric motors for a total output of 175 horsepower. The highly efficient powerplant returns 38 mpg on the combined cycle, making it the fuel-efficient leader of any SUV without a plug in the US. The UX250h HYbrid offers all-wheel drive and puts power to the tarmac via a new Direct CVT that uses a fixed, mechanical first gear with a continuously variable transmission, marrying quick initial acceleration with a smooth ride at speed. Stylish both inside and out, the UX is built on the new Global Architecture Compact (GA-C) platform shared with the Toyota C-HR and Corolla Hatchback. It's lightweight, yet extremely rigid, and in the UX comes with a refined suspension, and low center of gravity. With a class-leading turning radius, well-appointed cabin and distinctive driving feel, the UX 250h is a compelling new addition to this popular class of vehicle. 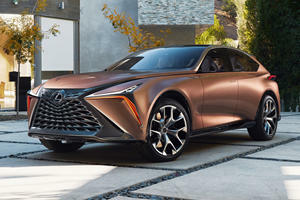 A new trademark filing suggests an all-electric Lexus UX300e could be in development. 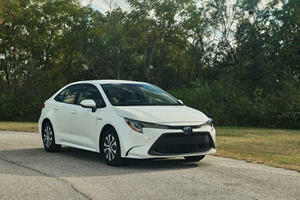 Will Toyota Add All-Wheel-Drive To The Corolla? An AWD Corolla would certainly make sense. 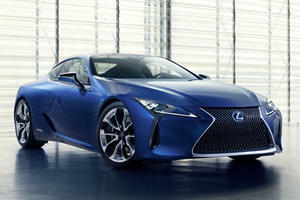 Toyota's luxury division isn't about to judge a Book by its cover.